We see a growing number of people tied together not by age, career, background, or circumstance, but by a shared interest. This revolves around a passion for potential mixed with fierce pragmatism and creative engagement. We sum all this up as the sensibility of giving a damn. But to shorten it, let's call it GOOD. We're here to push this movement and cover its realization. Kiva sounds like a brilliant way to allow people in developing countries a way up. I read about Tom's Shoes in Time Magazine and plan to give them as gifts this year. And lastly, I would like to drive a converted diesel and have the scent of french fries follow me wherever I go. The 2nd issue is on newstands now or go to their website and check it out. I look forward to having a larger house so that I can have a library, a room filled with books, comfy chairs and bright warm light to read by. Mmmmmm. David Bach is so much fun to read. He is straightforward and the concepts and plans are so easy. 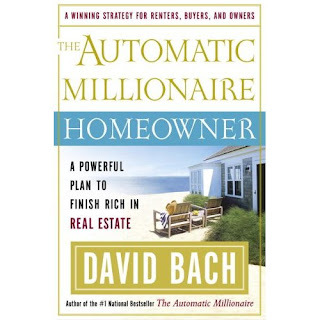 There is no rocket science to any of this, just plain, solid information on how to build wealth. I'm so excited to get started! I just finished reading Dead Center and found it fascinating. I am always curious about crime scene investigation stuff. I watch CSI religiously, and yes, I know it is a TV show and not real life -- the lighting in the labs on that show is enough to clue you in to that--someone turn on a light for gosh sake! How can anyone see anything?! Ahem. 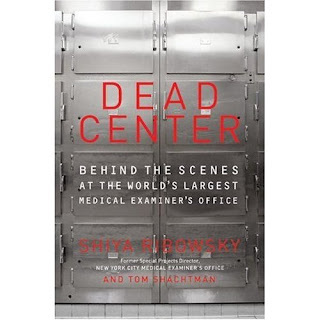 This book gives you a look into a medical examiner's life (not quite CSI, but similar) and also a deep look into NYC after the attacks on 9/11 and how hard this man and his team worked to identify remains from the World Trade Center. Fascinating and touching. Books are my things and helping kids (even a little) to have access to books in school is a great idea. I turned 40 this weekend and threw a low-key party. Instead of gifts for myself, I asked friends to bring books from the Access Books website wishlist. Many did and I'm happy to drop them off soon. Thanks to everyone who donated! ACCESS BOOKS has no paid full-time employees. Our operation has funneled almost 1,000,000 books to Los Angeles inner-city school libraries, make it school, classroom and community libraries. So many children in inner-city schools simply do not have anything to read. ACCESS BOOKS is changing that one library at a time. I read three books on Saturday and I couldn't wait for school to start on Monday so I could get some more books. I have to catch my breath! Check out their site and if you can help more, please do! And add a comment here about how you helped.